Oh Snap! The Friggin Amazing J.Ho Sketchblog...: BONUS POST: Johnny Monster Cometh!!! BONUS POST: Johnny Monster Cometh!!! Johnny Monster is the world's foremost super-star monster hunter, but what the world doesn't know is that he was raised by the same monsters he's "hunting"! Now, in order to save his adoptive family...he must fight them! Johnny Monster mixes Tom Strong with Godzilla movies by way of Tarzan and the Phantom to create a compelling and different monster mash! From the acclaimed writer of Dear Dracula and Necessary Evil! 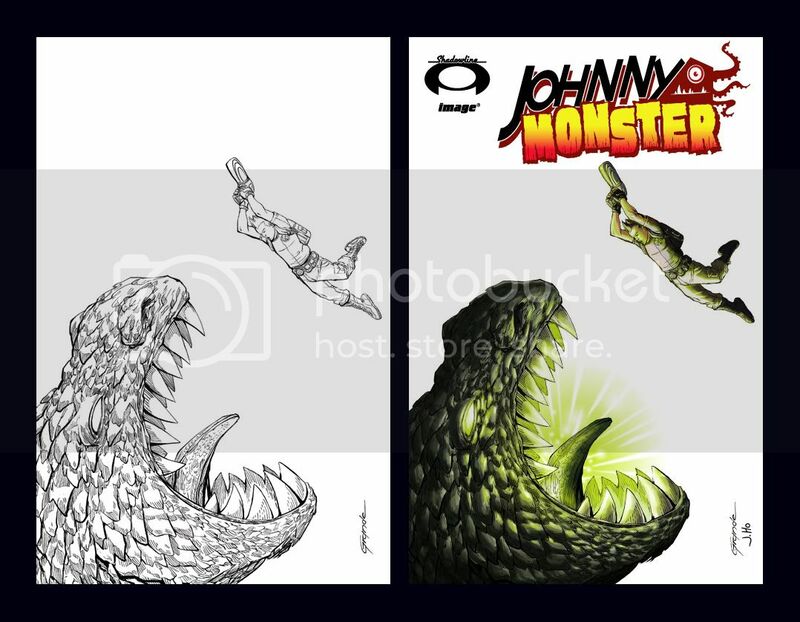 Be sure to ask your local comic shop to order Johnny Monster #1! It's on page 168 of December's Previews catalog, and the Diamond order number is DEC08 2275.